Barcelona is a great city to go drinking in. 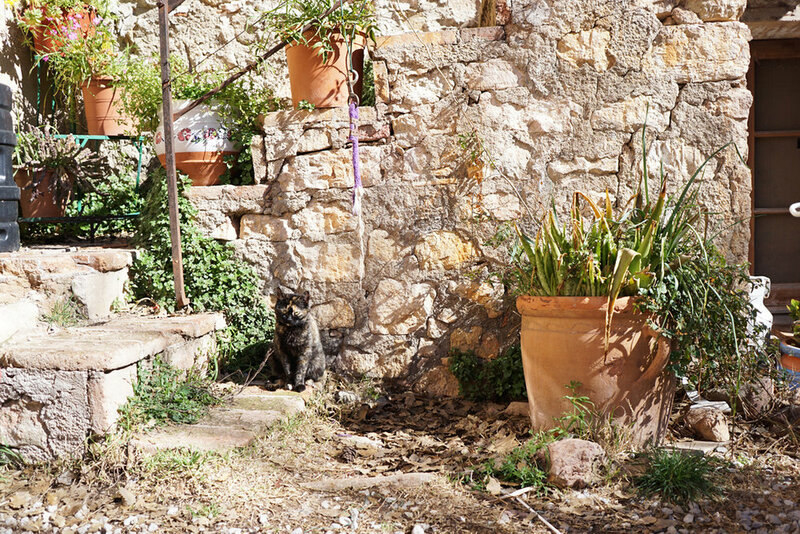 The hustling streets of Catalonia’s vibrant capital are awash with brilliant bars and cafes, from traditional Irish pubs where tourists cheer on their side to complete a Grand Slam in rugby’s Six Nations tournament, to laid-back community cafes filled with sun-kissed locals, sipping on vermouth and enjoying fresh snails in the afternoon hours. The city also has a young but rapidly maturing craft beer culture, primarily centred around the Gothic Quarter, where a handful of venues a stone’s throw from one another sling out glasses of hype juice to eager customers. Venues such as BierCab and NaparBier BCN have tap-lists to rival any craft beer bar in Europe, while in Edge Brewing and Garage Beer Co, Barcelona has two of the continent’s most exciting and on-trend breweries. The scene is growing, but has some way to go to catch up to industrial beer, which has dominated the city and the region for so long. 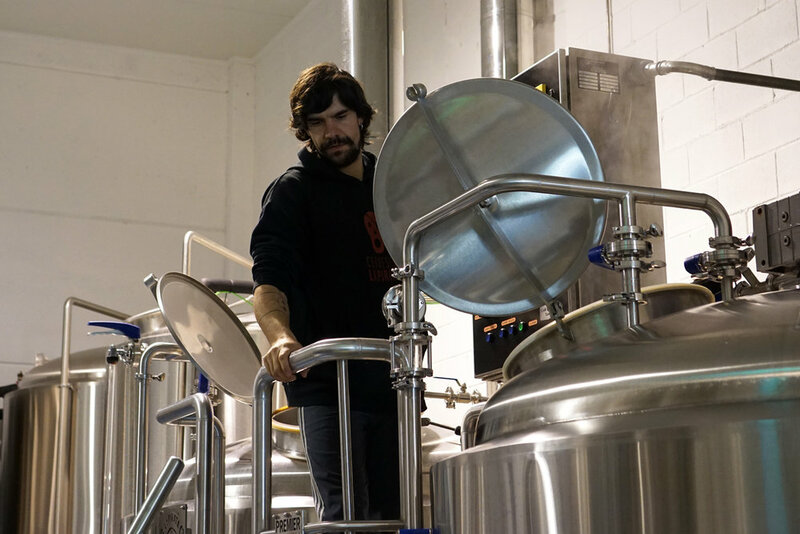 According to the latest data, compiled by the Association of Craft and Natural Beer Brewers (GECAN), Catalonia’s craft breweries produced 3 million litres of craft beer in 2016, up from under 800,000 in 2012. However, this pales in comparison with the 279 million litres of total annual beer consumption in the region during the same period. Despite rapid progress, however, there is certain homogeneity about beer in Barcelona. The widening global appeal of craft beer lends itself not to diversity, but to similarity. Enjoyable though they are to consume, the New England IPAs and hazy pale ales being produced by the likes of Soma Beer, and Garage are not far removed from to the incarnations of the style being made all over the world, while the tap-lists in the city’s excellent bars could well be replicated anywhere from Berlin to Bristol. Leaving the city after a couple of enjoyable and indulgent days, I can’t help but feel that I’m no closer to discovering what helps make Catalonia’s beer scene unique enough to stand out in an increasingly competitive climate. 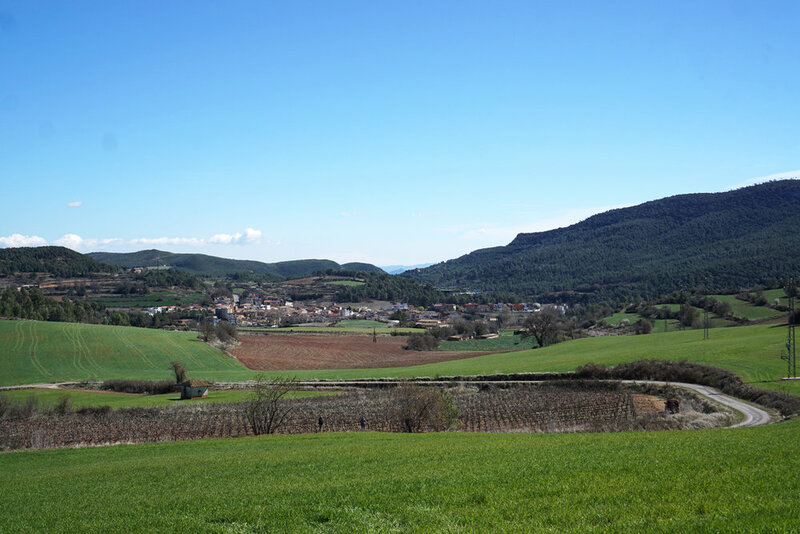 Our first port of call outside the city of Barcelona takes us east, and up into the hills of Penedès. 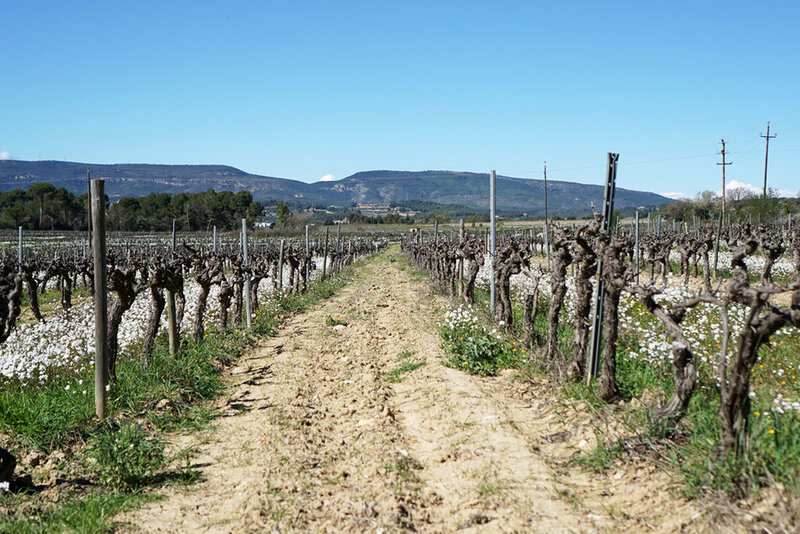 This province, squeezed between the mountains and the Mediterranean sea, has long been considered one of Spain’s best wine-producing regions, and it is home to almost 200 registered wineries. 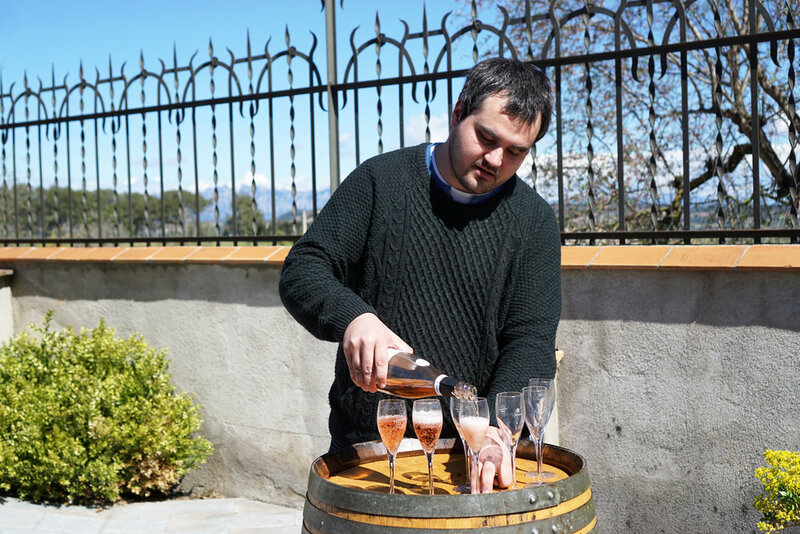 Cava and natural sparkling wines are order of the day here, owing to the extensive proliferation of white grape varieties, although the region also produces some highly regarded, oak-aged reds. However, we’re here to visit one of Catalonia’s many rural brewers, who make up 20% of the 100-odd of breweries in the region. 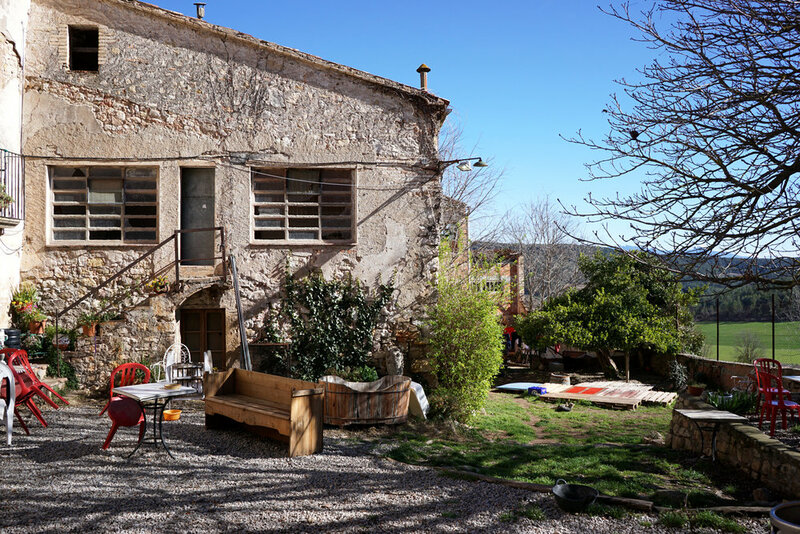 Masia Agullons was founded by former-homebrewer and Carlos Rodríguez and his partner Monserrat Virgili in 2008, and the brewery’s entire production takes place in their family home in the municipality of Mediona. As we turn off the road and up a weatherworn mud track, leaving any semblance of civilisation behind, my expectations are fairly low. A scraggly looking pair of dogs come running out to meet us, barking excitedly. I turn to one of my traveling partners, raising my eyebrows quizzically. 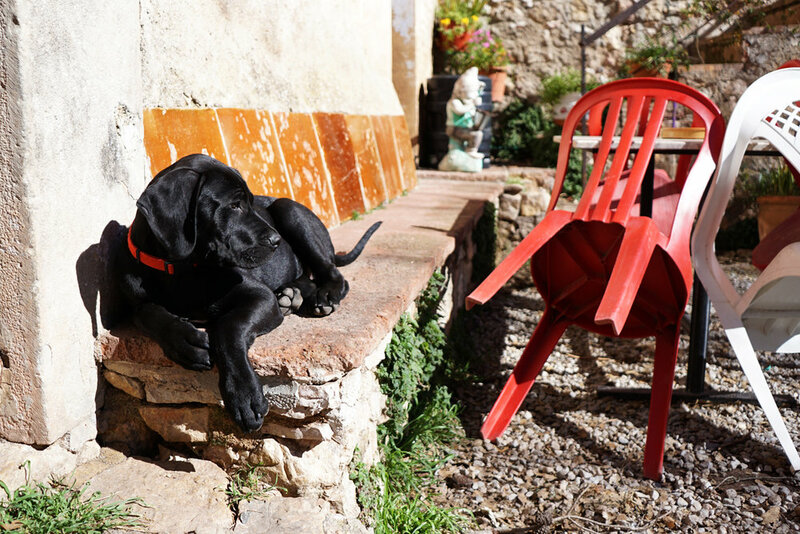 Rodríguez soon follows his canine companions out to meet us, albeit less enthusiastically. It soon becomes apart that this dreadlocked, scruffy looking man, puffing on a cigarette and dressed in a dusty Moeder Lambic sweatshirt, speaks almost no English. Our fixer translates, explaining how Rodríguez became fascinated with British real ale culture after visiting The Wolf Brewery in Norfolk. The Catalan brewer proudly shows us his kit, which could be described as rudimentary at best, and explains that he produces primarily English style, single hop ales, but two years ago began experimenting with mixed and spontaneous fermentation, after taking advice from Jean Van Roy of Cantillon and Armand Debelde of Brouwerij 3 Fonteinen. If I was skeptical before, now I am straight-up disbelieving. How could a brewer like this, in the middle of rural Catalonia possibly be friends with Jean Van Roy, and producing mixed fermentation beers? Our entourage follows Rodríguez into his home and into the cellar, where, low and behold, around two dozen red wine barrels sit, quietly imparting their flavours to the beer within. 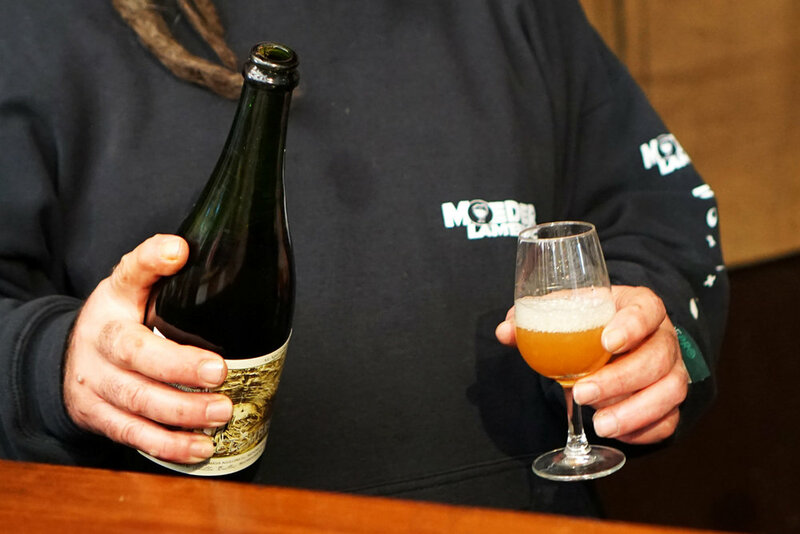 Our host picks up a white bottle and shows it to us, explaining that the beer undergoes a three part fermentation using a strain of brettanomyces registered in his own name with the help of Yvan De Baets, of Brasserie De La Senne. 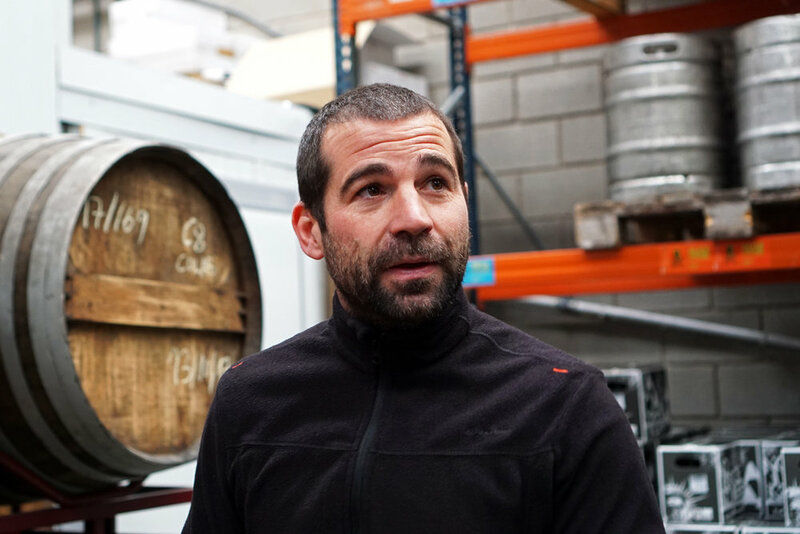 Initially, Rodríguez blended his beers with young lambic from Cantilon in the barrels, but has recently become even more ambitious. “He wants to know if you would like to try some of his first fully spontaneously fermented beer”, explains our fixer. I’ve never seen a group of beer writers move so fast. Rodríguez bends down and pours off a small sample straight from the barrel and into a wine glass. The aromas are funky and barny, with light hint of sulphur. This particular batch, Rodriquez explains, is still only two years old, and will require a further year before being blended with younger varieties. Taking a sip, I am floored. This is a young lambic in all but name; a boda-fide spontaneously fermented beer, being produced by one man in his family home. What’s more, despite taking its inspiration from Belgium, this beer is fundamentally Catalan; it is inherently of this place, and of this location, fermented using wild yeast strains from the natural environment. How about that for terrior? 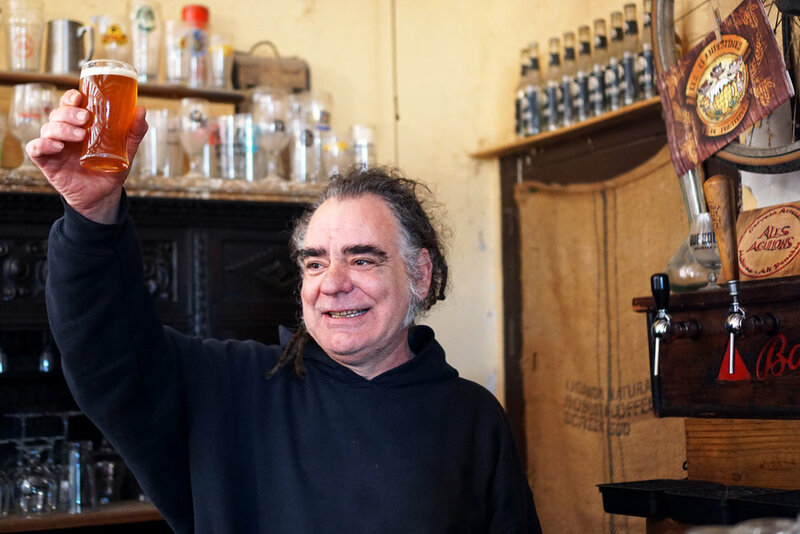 We head back out into the house, where Rodríguez has installed his own personal pub and serves us all a glass of his single hopped (Sterling) pale ale, on cask. 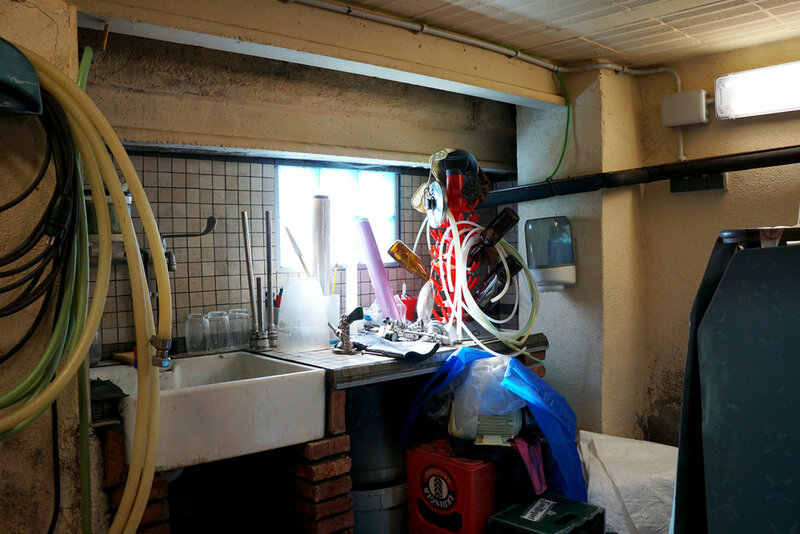 The English influence is clear to see; the beer is bright, bitter and clean, but somehow it feels like it wouldn’t be quite right served anywhere other than in Rodríguez’s family home. It belongs here just as much as any regional variety of cava or sparkling wine. Of course, Masia Agullons is a tiny brewery, little more than a spec in the dust in terms of the total beer production of Catalonia (the brewery produces just 5-6,000 litres a year). 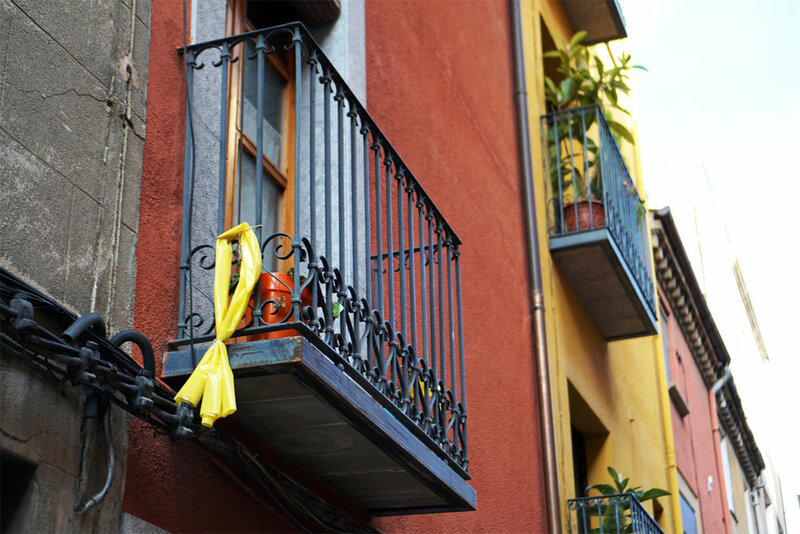 However, its approach is indicative of a wider trend among Catalonia’s craft scene. 36% of all breweries in the region now have a barrel-ageing programme, with producers increasingly turning to oak to add a local dimension or added complexity to their output. 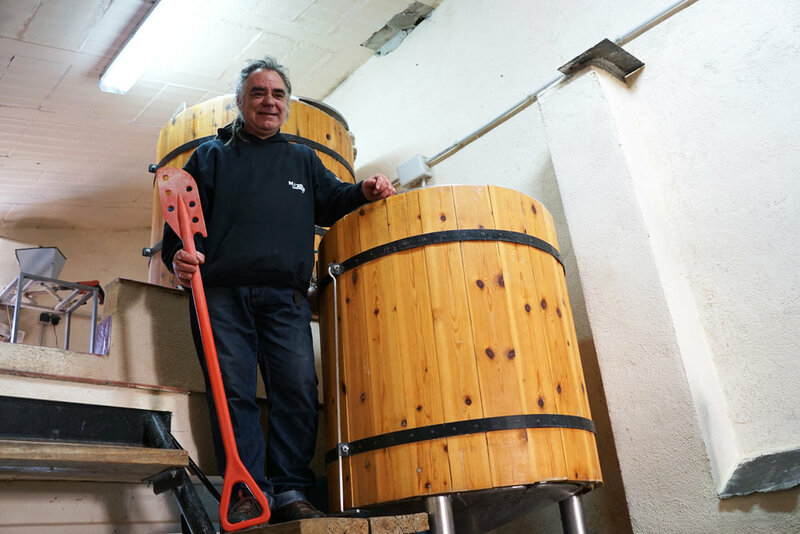 Over to the other side of the Pyrenees, just outside the small town of Sant Joan de les Abadesses, La Calavera Coop are another brewery taking advantage of the region’s assortment of wine barrels (and a few imported whisky barrels) to produce mixed fermentation beers. Among the beers to come out of La Calavera’s barrel ageing programme, which is around five years old, include Sedition, a spiky Belgian ale that undergoes secondary fermentation with Brettanomyces in Rioja barrels, and No Gods No Masters, a Flemish red ale aged in whisky casks. Both are exceptional, and Mike’s face lights up when I tell him they would command a premium in any UK bottleshop or bar. “We’re exporting to Italy, Russia and Norway already,” he says. “But I don’t have a contact yet in the UK. Can you help me out?” After taking his contact details and promising to reach out to a few friends who work in distribution on my return home, I learn that more than 50% of La Calavera’s beers are exported; an extraordinarily high number for a brewery of its size (annual production was just 900hl last year). It turns out that having a high volume of exports is a common theme among Catalonia’s breweries. In total, around 16% of beer produced by craft brewers in the region is exported, and this is undoubtedly influences the types of beers the producers at the forefront of its beer scene are making. 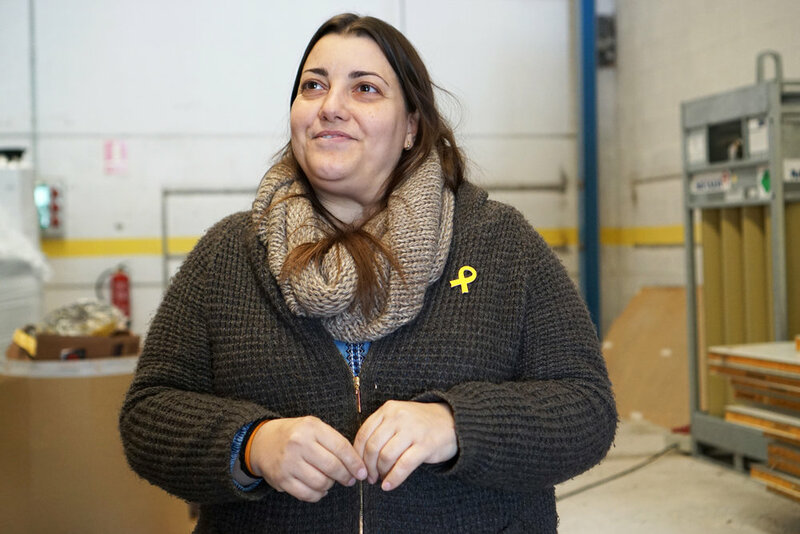 Aran Leon, founder of Cerveses La Pirata, a microbrewery around an hour to the North-East of Barcelona, echoes this sentiment, but stresses the importance of not forgetting the local market. 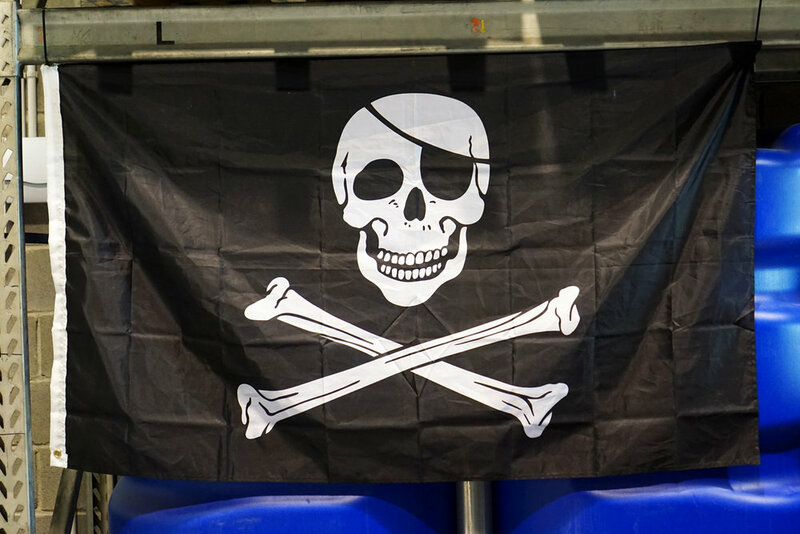 La Pirata exports around 40% of its 2,500hl annual production to countries including France, Italy, Belgium and the UK, and Leon believes that collaborating with other breweries internationally has been a key part of establishing La Pirata as a brand. The brewery hosts a festival at its home, just outside of Súria, every October to celebrate its birthday, inviting the likes of De Molen from The Netherlands and Dry & Bitter from Denmark. On the day of our visit, the brewery is collaborating with Laugar Brewery based on the north coast of Spain, close to the French border. They are brewing an imperial stout, which will spend time in one of the brewery’s 40-strong collection of barrels, many of which were previously used to hold red wine from the nearby Penedès province. 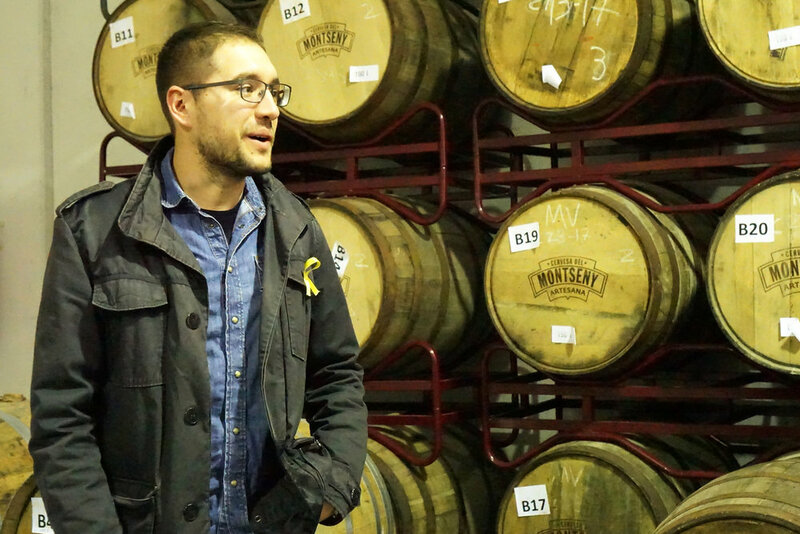 Of course, using locally sourced barrels is not the only way for Catalonia’s brewers to add local provenance to their produce. 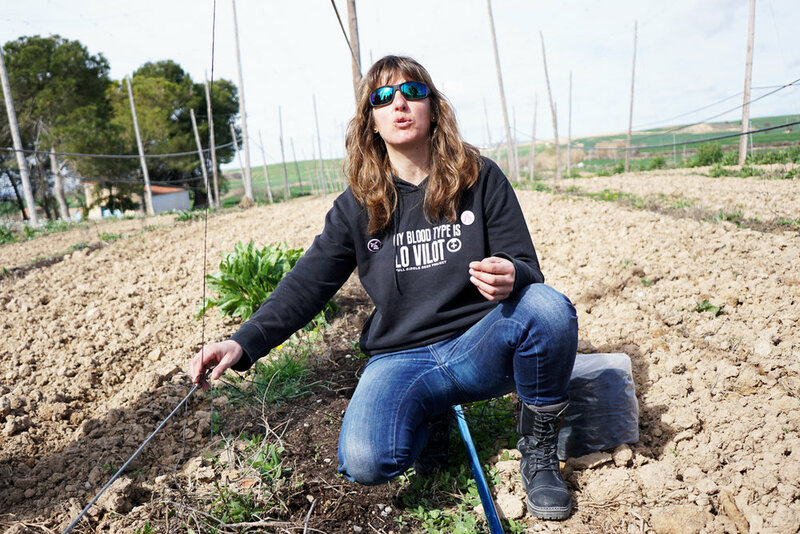 The region is certainly not famed for its hop production, but that hasn’t stopped a small number of growers cultivating their own varieties such as Catalonian cascade, which are used by a number of local breweries. 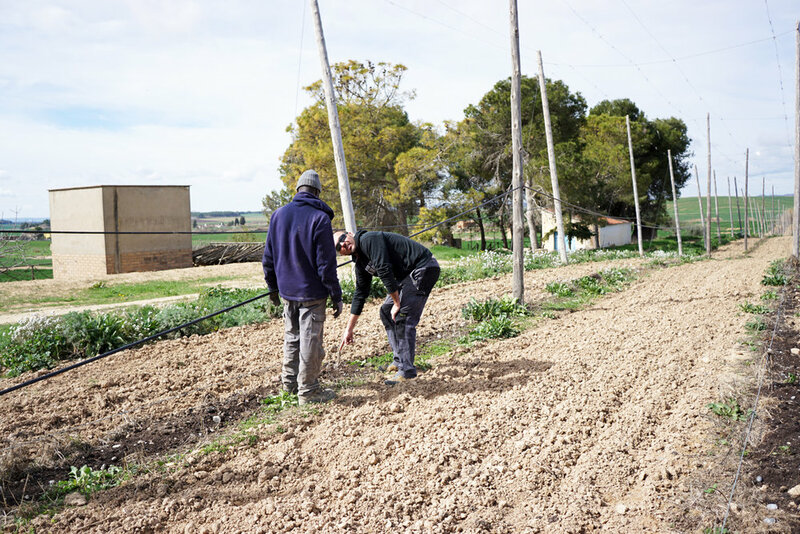 A biologist by trade, Sabate has also gone to great lengths to ensure that Lo Vilot is as sustainable as it can possibly be. 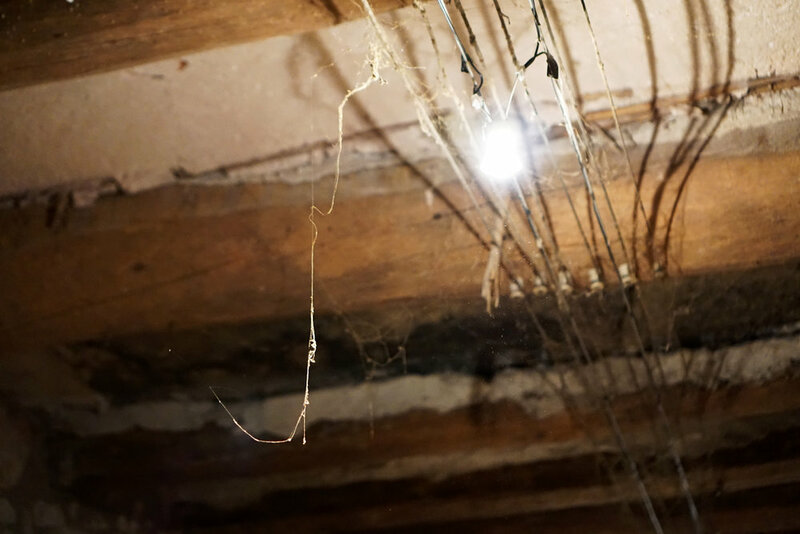 The brewery runs mostly on renewable energy, while no pesticides are used to treat the hops grown on the farm. Alongside partner Oscar Mogilnicki Tomas, Sabate tends to and harvests the hops and barley, creating beers that are unique in the greatest sense of the word. 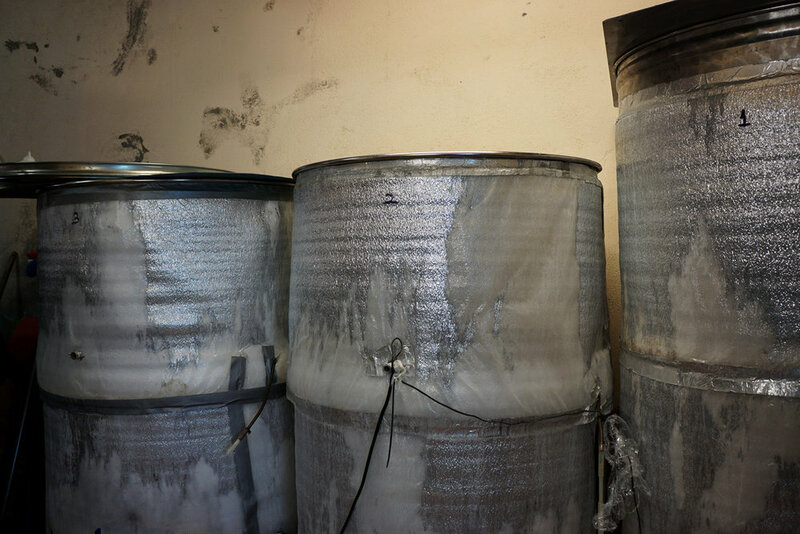 The brewery also has a mixed fermentation beer programme of its own at the farm, keeping the risk of cross contamination with its regular clean fermented beers (conditioned at the main brewery site) to a minimum. Among the beers to be produced from the programme so far include Brettas & Hops, a double bretted IPA, and an unnamed 8% old ale currently slumbering in whisky casks ready for bottling later this Spring. Standing on the farm site, overlooking the fledging hop plants and sipping on a glass of the Brettas & Hops, which is reminiscent of a young Orval, I feel perfectly at ease. We enjoy some local charcuterie, and goat’s cheese produced from a farm just a few miles away. As entertaining and enjoyable as our short jaunt to Barcelona was, I think I have discovered the true essence of Catalan beer culture. 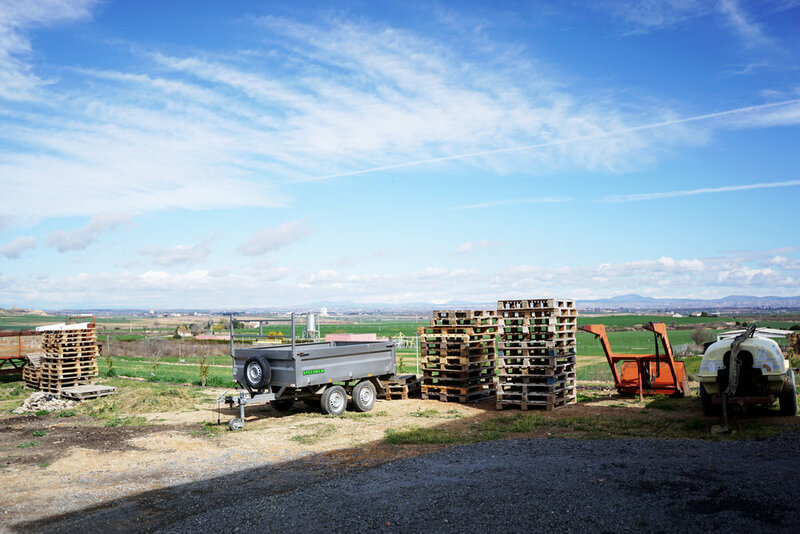 From my experiences out in the Catalan countryside, it becomes increasingly evident that the region’s craft brewers are brewing for two markets. 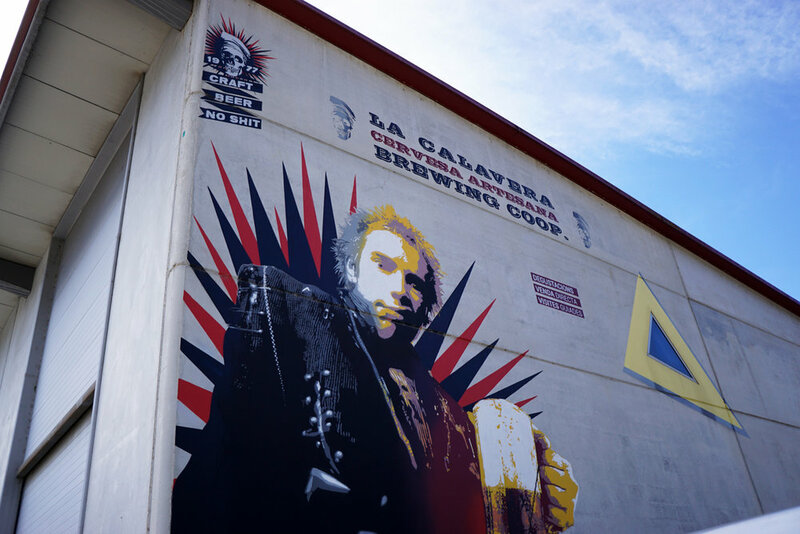 On the one hand, these breweries are very much a part of their local communities; La Calavera’s barrel store is based at a nearby restaurant part-owned by the brewery, while Lo Vilot enlists the help of the townsfolk to harvest their barley and hops. On the other hand, the local market is not yet sufficiently developed to demand the kinds of complex beers these breweries want to be producing on a regular basis. As a result, it often feels as though Catalan breweries have two almost entirely separate ranges of beer. Nearly all of the breweries we visit produce some form of lightly hopped blonde ale; inoffensive in character and usually low in strength. These beers are brewed for the local market and for the gateway consumer, not yet ready for barrel-aged sours or bretted IPAs, but looking for something more challenging than industrial lager. However, to establish themselves internationally, and to scratch the creative itch of the brewers themselves, Catalan breweries are becoming increasingly innovative, using the region’s rich collection of wine barrels, as well as looking further afield, to influence their beer. My theory gains further traction upon arrival at Cervesera del Montseny. 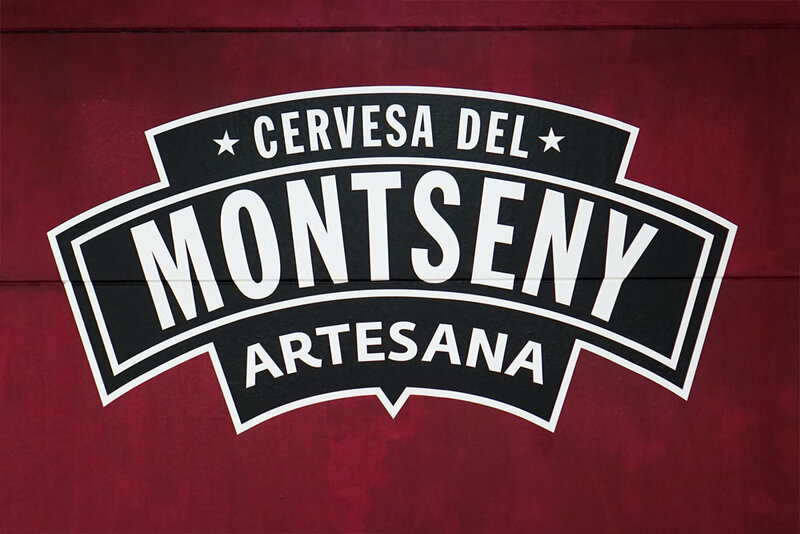 Founded back in 2007, Montseny could reasonably lay claim to being the region’s first craft brewery. The brewery produced around 3,000hl of beer last year, and its core range of beers is very much aimed at the local consumer base. It wasn’t until 2012 – to celebrate its 5th birthday – that the brewery produced an IPA for the first time. Alongside this core range, however, Montseny produces a number of seasonal and one-off releases, making use of brandy barrels from the South of Spain, as well as locally sourced chestnuts, to brew imperial stouts and a brown ale, both of which are exported to the US through Shelton Brothers, and also to Norway, France and Japan. 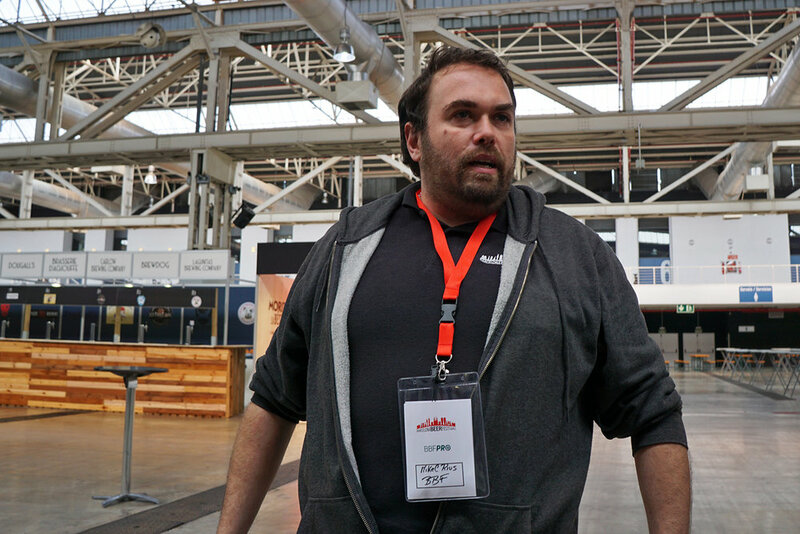 “There would be no point in us exporting our pale beers, or our hoppy beers, especially to the USA,” points out the brewery’s sales manager Ferran Boix Piella. Nice though Montseny’s Anniversary IPA is, it’s hard to see it knocking Lagunitas or Stone off the shelves anytime soon. Nevertheless, it is popular locally, and is now the brewery’s best selling beer, showing that perhaps the Catalan market is beginning to catch up. 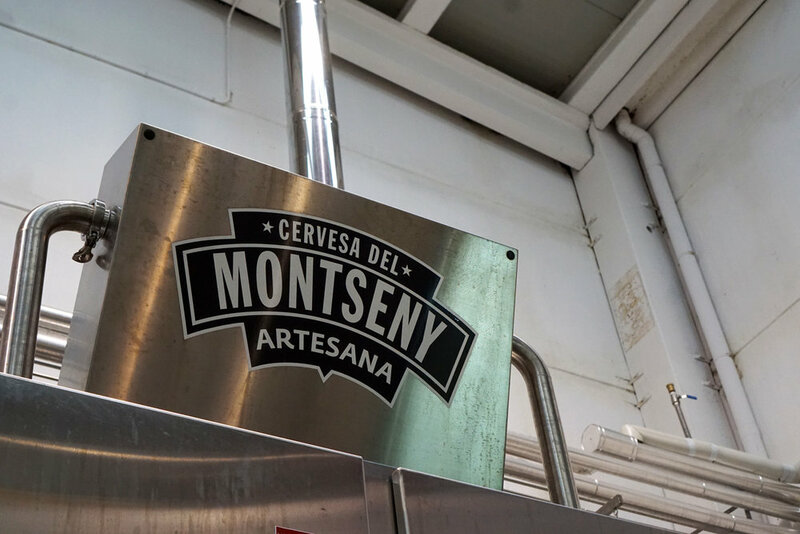 “When we first brewed this beer people would say that it was a really strong and aggressive beer,” explains Montseny’s head brewer Jordi Llebaria “Now we can’t sell enough of it; even regular people who are not into craft beer are coming and wanting to try it.” Perhaps, given time then, the local market will also come to appreciate some of the barrel aged and mixed fermentation beers being produced regionally. 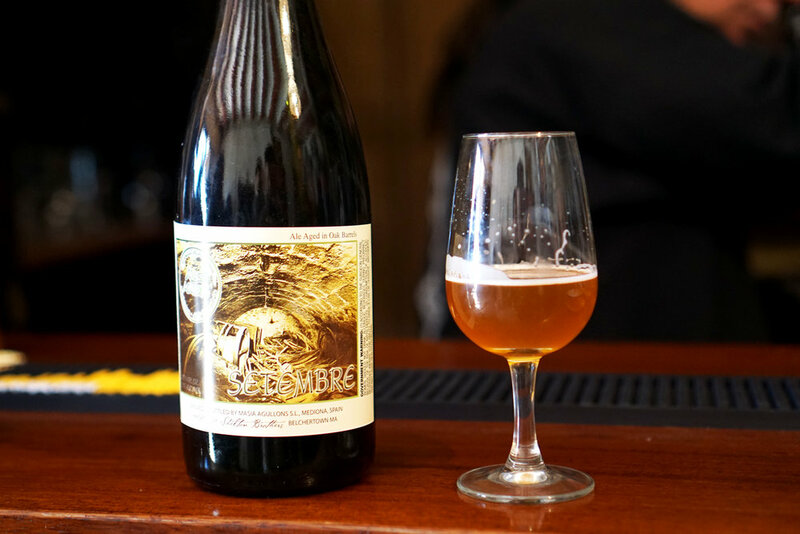 Given the widespread availability of wine barrels, and the quality of the beers currently being aged within them, you wouldn’t bet against it as the scene continues to grow and mature. ALL CONTENT © BEESON ON BEER 2018. LOGO DESIGNED BY RUBY COOPER.